Okay, okay… I know what you might be thinking. 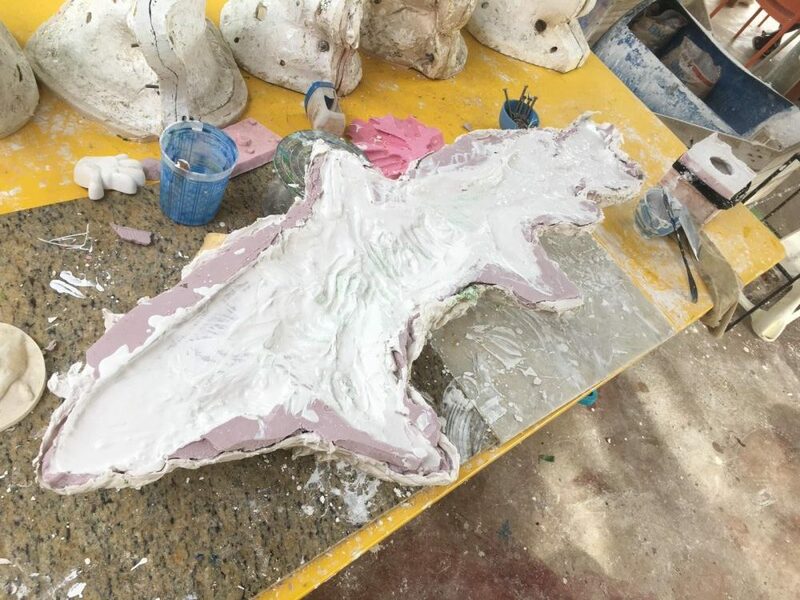 You’re probably asking yourself if Serena really does have a shark in her art factory. The truth is, I am the one and only 120cm long shark she has at this very moment. 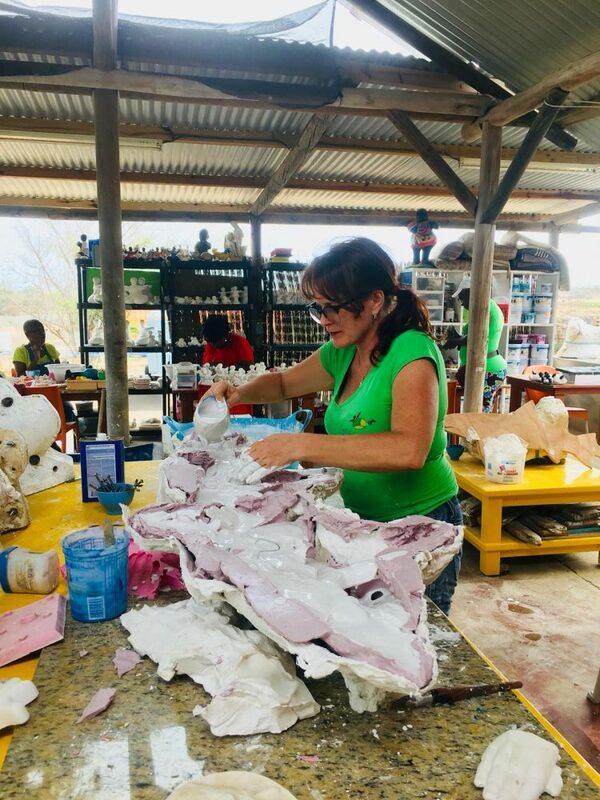 An art factory focused on creating Chichi® sculptures suddenly has a shark, me, made of plaster hands of all the workers at the factory. 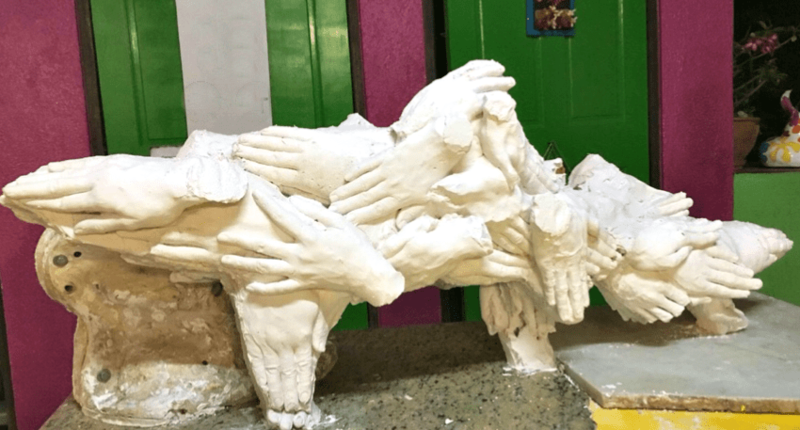 Making a shark of plaster hands is crazy, I know, but there’s a good reason and a good purpose behind this project. This time around, sharks are endangered due to how humans catch us, cut our fins off and throw us back into the ocean to eventually die. It is so painful! Not only is our community of sharks suffering, but humans are disturbing the ecosystem by getting rid of us. Sharks maintain other species of the ocean healthy and in a good proportion for the ecosystem. We are threatened with extinction, and luckily there are humans on earth who are aware of the danger sharks are in and our important contribution to the marine food chain. 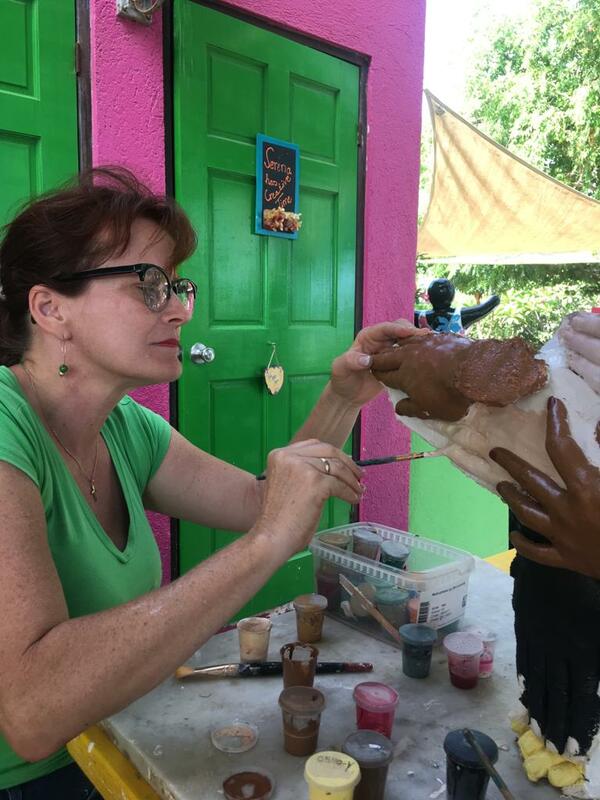 To raise awareness, the Carmabi Foundation organized an art contest for all the high schools and 5 other artists, including Serena, on Curaçao. This is why the workers of Serena’s Art Factory made me. 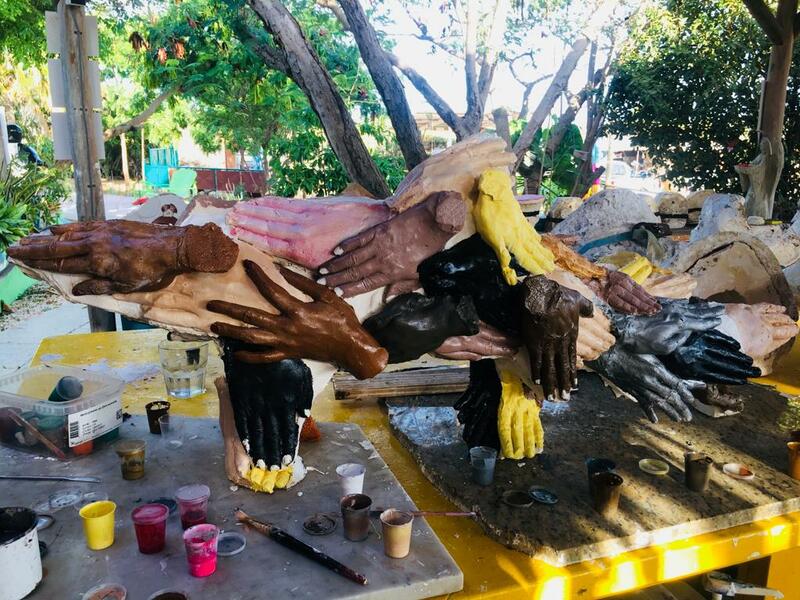 All the schools get a wooden shaped shark, which a group of students can turn into a piece of art using their very own imagination. They can do whatever they like with it. 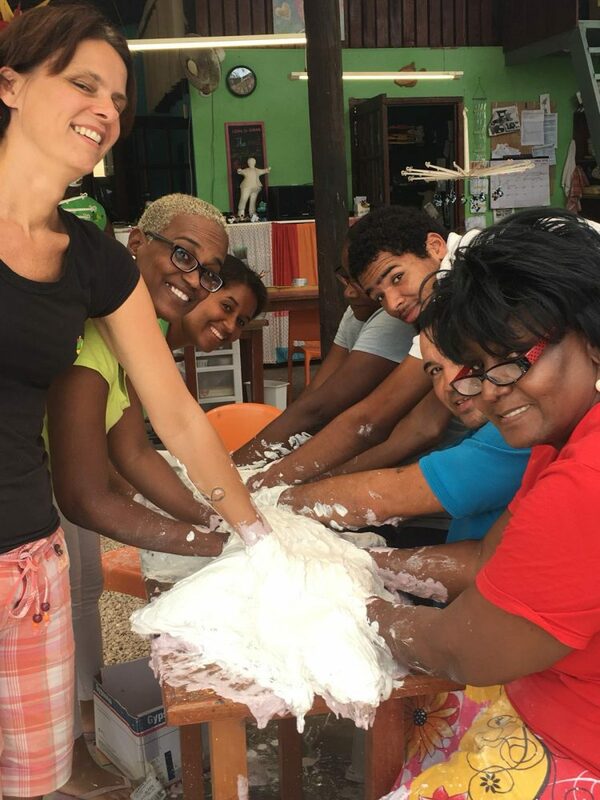 The creation of the people at Serena’s Art Factory is truly crazy. This project was all about teamwork and managing busy working hours to make it all happen! Even though I look pretty cool, this is beyond any shark’s imagination, even mine! Nature is beautiful, and the shark community is too! Yes, I know that we might look very scary, and we can be found in the waters of Curaçao, but I promise that we are not harmful to humans. Let’s be honest, humans are not really a part of the marine food chain, which is why shark attacks on humans are rare. Believe it or not, sharks need your help now more than ever. Spread the word and raise awareness for sharks as often as you can, but especially in Shark Week from June 9th till June 15th, 2018. There’s not one shark that swims backwards, so neither should you. Let’s swim forward to achieve a safe ocean for sharks!